With AeroTuner, you can fine tune the Windows 7 Aero Glass look and feel. – Added possibility to drag AeroTuner’s window using “big” caption. -Can change colors for normal and overleed windows separately. Everything from this list you can™t make through Windows 7 UI. 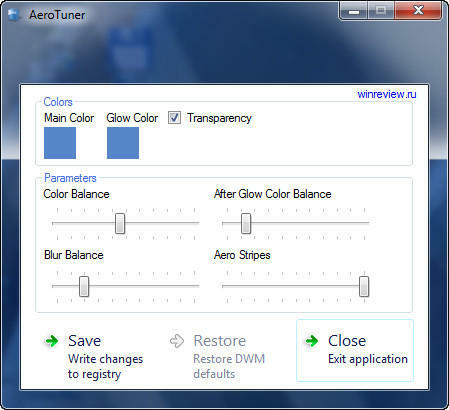 Cite this article as: Abhishek Ghosh, "Change and enhance Aero glass look of Windows 7 with AeroTuner," in The Customize Windows, January 23, 2011, April 20, 2019, https://thecustomizewindows.com/2011/01/change-and-enhance-aero-glass-look-of-windows-7-with-aerotuner/.